There’s a unique mix of weekend relaxation and edge-of-your-seat excitement when you spend a Saturday at UNCG Softball Stadium. You’re sitting with sunflower seeds in hand, wearing your favorite blue and gold T-shirt and cap, listening to the almost mesmerizing chants from the dugout. And then suddenly there’s a ping of the bat, a race around the bases, a slide into home and another win for the Southern Conference pre-season favorites, who have their sights set on a SoCon Tournament Title and a bid to the NCAA Tournament. There are big expectations this year. So far, the team is living up to them – and it couldn’t be more thrilling for Spartan fans. UNCG Softball is off to a 21-7 start on the season and is No. 53 in the nation according to the latest RPI rankings. Head Coach Janelle Breneman’s team swept the season-series against ACC foe Virginia and beat out another power-five school, Iowa State, in the fourth game of the season. Breneman describes this year’s squad as a group of highly talented individuals with diverse personalities. Yet their success stems from their cohesion as a team. 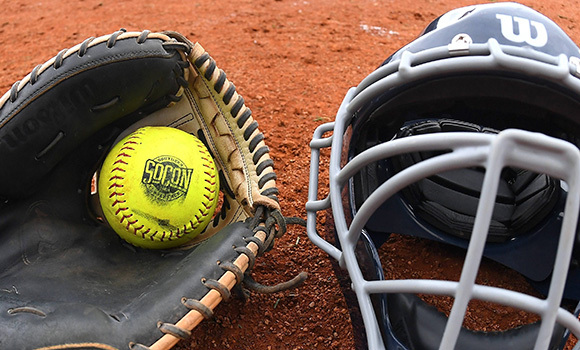 SoCon play starts this weekend with a homestand against Furman. Games are at 1 and 3:30 p.m. on Saturday, and 1 p.m. on Sunday. Just across Walker Avenue, UNCG Baseball is also gearing up for its SoCon opener against Virginia Military Institute this weekend. The team is coming off a historic season in which it claimed its first SoCon Tournament Title and earned a berth in the NCAA Clemson Regional. Admission is free and open to the public for all UNCG softball and baseball games. For more information and to view a complete schedule, visit uncgspartans.com.